What will you be doing this Saturday’s Night? 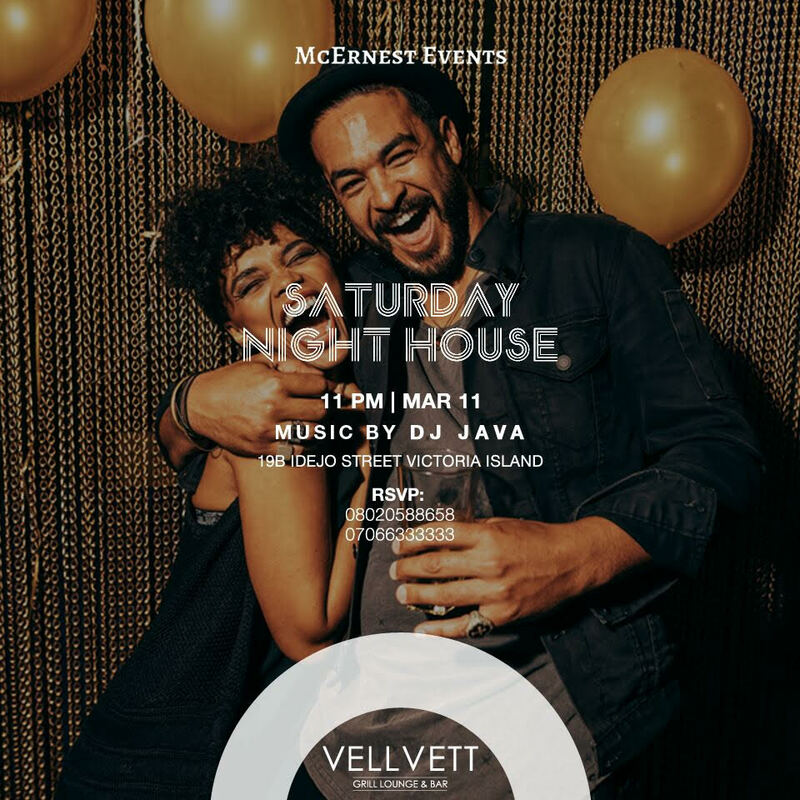 Won’t you rather join the SATURDAY NIGHT HOUSE with a remarkable experience to be served with. Come, let’s try a New Menu as this promises to be enthralling. Come and let’s have a date on Saturday the 11th of March, 2017 at the new VELL VETT GRILL Lounge & Bar [19B Idejo Street, Victoria Island, Lagos], from 11.00pm. With music from DJ Java, you won’t want to miss this!